Start your business and get off on the right foot. 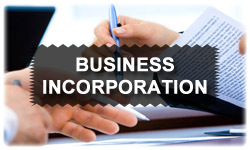 We can handle all paperwork and filing of new corporations, LLC's, S Corporations, Partnerships, etc... Register your business in Florida through the Division of Corporations. Inc or LLC? We can explain the differences and help decide which is best for you. Make an appointment today for your free initial consultation regarding the formation of a new corporation. Let us explain the tax implications of a corporate entity. Schedule an appointment today. Our philosophy is simple : Honest friendly service at the most affordable prices. We strive to make the income tax preparation process as easy and efficient as possible. We understand the needs of our clients and want to help at every step. We want to service all clients including the most elite tax & accounting customers. Stop by our office at 3575 Southside Blvd. Our goal is to provide the highest service at the best possible price. We offer a price structure that is easy to understand and very competitive. All of our services are done in house and in a secure environment. We are a small business so we understand the needs of other small businesses. Debbie has been in the accounting and tax industry all of her life and shares her wealth of knowledge and tax law with her clients. Tax return preparation is done face to face in person during the tax interview. Appointments are recommended but not necessary. Our bookkeeping staff services many different types of businesses and are dedicted to service your needs. No matter if you have a simple W2 wage income filing a 1040ez or a complex individual return with rental properties and or a self employed business we are experienced and ready to tackle your taxes. Our combined knowledge and expertise will give you the relief of knowing you have your tax return prepared correctly and getting all the deductions you are entitled to. Regardless of your business entity type, Debbie's Accounting Service is able to prepare the tax return accurately and efficiently. Let us take the worry out of your business tax return. Corporations, S Corporations, Partnerships, Non-Profits - - we are able to file all types of business tax returns. We also offer sales tax, payroll tax, and tangible tax returns. Our accounting software of choice is Quickbooks. We carry all years and version to suit the needs of all clients. All of our data input is done by a trained staff able to take the burden of bookkeeping off your business so you can focus on what you do best. Let Debbie's Accounting Service, Inc take care of all your accounting and bookkeeping needs. Full accounting, bookkeeping, payroll, sales tax, business taxes, estimated taxes. Go to the Where's My Refund? online tool to check on the status of your refund. Go to the Where's My Amended Return? online tool to check on the status of your amended tax return.